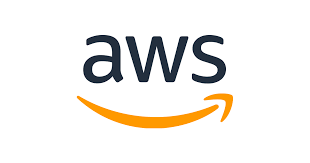 DESCRIPTIONAmazon is building some of the largest distributed systems in the world, and we need smart people to support and engineer the next generation of compute and storage platforms. Amazon’s Data Center Support Engineering (DCSE) group provides escalations support worldwide with focus on continuous improvement. We have high standards for our infrastructure as well as our employees, and our systems are highly reliable, highly available, and turn scale into an advantage for our business and an asset to our customers. Our employees are super smart, driven to serve customers, and fun to work with. As a Support Engineer with DCSE you will help troubleshoot, diagnose, and support massive distributed systems. You are a point of escalation for complex issues to dive deep for solutions as well as provide guidance and knowledge-shares. You will work directly with the various service owners and hardware design teams to collaborate on hardware issues within the fleet. You drive the team to improve operational efficiency for all services through root cause and trend analysis with the identification and development of SLA, metrics, monitors, procedures, tools, and documentation. You think proactively and work to prevent support issues before they are realized. You participate in design reviews to identify and mitigate support risks. You work closely with development and QA teams to improve the change management life-cycle. You have a deep understanding of production architecture and are familiar with operating system best practices. You identify, communicate and drive small production architecture changes. You design and develop complex high performing scripts and applications. You work with other Amazon leaders to share ideas and improve support within the company. You take a role in the strategic direction of the team. You play a significant role in hiring, mentoring, and training employees. You demonstrate excellent judgment when making decisions. · Experience troubleshooting & maintaining hardware & software RAID.